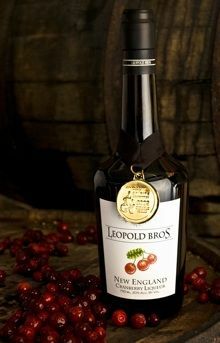 We use over three pounds of two different varieties of cranberries grown mainly in the bogs of Massachusetts to make our cranberry liqueur. We blend the juice from the cranberries with our eau-de-vie, and add just a pinch cane sugar to balance out the tartness of the blend. We then bottle the spirit and hand label each batch.